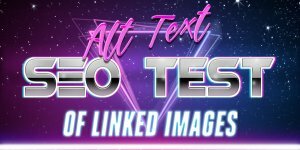 Some websites have no problems gaining text links naturally, the websites content is natural linkbait, but many small businesses struggle to compete for Google SERPs due to a lack of high quality free backlinks. Over the past decade or so buying backlinks (and selling backlinks) has sprouted into a thriving niche SEO industry with it’s own set of SEO pitfalls. In this section of the SEO tutorial we’ll cover what to expect when buying and selling backlinks for SEO gain. Buying backlinks, text links, text link ads or whatever you want to call them (buying links) is a touchy subject in the SEO community and Google considers it blackhat SEO: buying links for SEO gain is gaming Google. The white hat SEO consultants think it’s a black hat SEO technique and frown on it’s use and the black hat SEO experts know if done correctly (AKA don’t get caught by Google :-)) buying text link ads can help a websites performance long term. I’ve never had to buy a backlink, but have sold them, when I first started selling links you could make quite a lot of money from even a PR5 backlink ($1,000 a year wasn’t unusual). As the years passed and more and more websites sold links the prices fell dramatically, $50 a year for a PR5 backlink wasn’t hard to find in 2014 and as I update the SEO tutorial in 2018 we no longer even know if a backlink is from a PR5 webpage since Google turned off public PageRank (PR). Interestingly if you understood PageRank like I do, you’d understand a PR5 backlink in 2014 is worth more (PageRank wise) than a PR5 backlink in say 2010 (in 2018 a PR5 is worth more than it was in 2014 as well). There’s a finite amount of PageRank on the Internet, as more webpages are indexed by Google the PageRank is shared over every webpage Google indexes. If in 2010 Google indexed 5 billion webpages and in 2014 10 billion webpages, it would take twice as much effort to generate a PR5 page in 2014 relative to 2010 and if Google doubled it’s index again in 2018 it would be twice as hard as in 2014 and four times as hard vs 2010. Prior to 2004 I had a PR8 home page at one point from comment link spamming, wasn’t for long, was a stable PR7 before Google banned the domain for spamming links, my highest PR page in 2014 was PR5 and in 2018 I’ve no idea what each pages PR is. When I first offered SEO services in the early 2000s part of the SEO packages included backlinks that the business owner paid for. 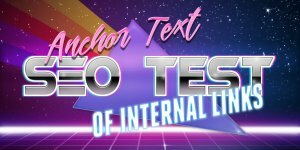 I used to sell text links to game Google basically, but it was risky for my network of websites so I stopped selling text link to SEO clients: not worth the risk. It takes years of hard work building up websites worth selling backlinks from, takes Google 5 minutes to penalize an entire domain linked to selling backlinks! Years of hard work can be lost overnight!!! Not hard to see from a long term perspective as a publisher I can make significantly more money from a website that’s pulling in free traffic from Google for ten plus years than a website that just as it’s doing well Google bans it for selling backlinks! If you are already selling backlinks or plan to sell backlinks your entire domain could be banned from Google (I’ve had it happen for links worth just 10s of $s a year!). If the money from links is a small part of the websites revenue and you can’t afford to lose the domains entire revenue, it might not be a risk worth taking. 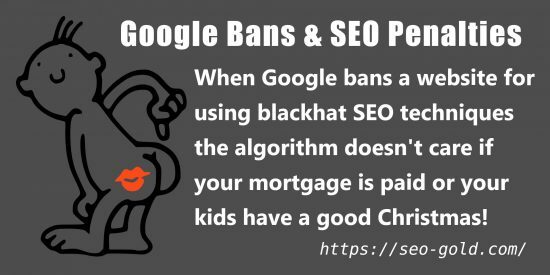 When Google bans a website for using blackhat SEO techniques the algorithm doesn’t care if your mortgage is paid or your kids have a good Christmas! Google is actively taking steps to thwart text link buyers, so move cautiously and be aware what a lot of SEO consultants call the sandbox effect could be Google taking steps to hurt text link sellers/buyers (and comment link spammers). 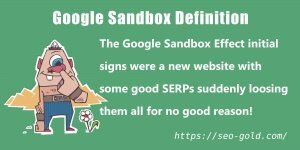 If you read the sandbox effect SEO tutorial above you’ll see I speculate the Google sandbox is an artifact caused by Google staggering text link SEO benefit from new backlinks. Where it used to take around 3 months for new backlinks to work (generate SEO traffic for a website), now it takes more than 9 months. Consider a typical link buyer. 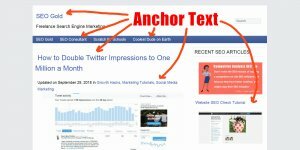 A link buyer purchases 50 text links at $10 each for 3 months (cost $1,500) and finds no significant change in Google rankings, do they throw more money away or assume buying text links doesn’t work? 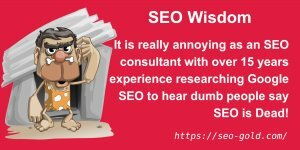 If they do give it another 3 months (before 2005 having decent backlinks for 6 months meant almost guaranteed good Google rankings) they again find little improvement, they’ve spent $3,000 for no or low ROI and definitely move on! Had they waited 9+ months their Google rankings could (no real guarantees in SEO) have increased significantly at a starting cost of $4,500. To gain full SEO link benefit from the text link purchase it takes a year, those 50 links cost $6,000 and to maintain any ranking improvements the links MUST remain live at a cost of $6,000 a year forever. If you can’t afford to pay for links forever, don’t buy them. 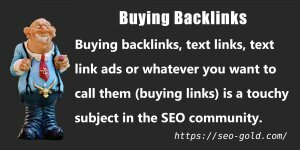 As a business considering buying quality backlinks, if you are willing to accept the risks of Google banning your website for buying links for SEO gain, when purchasing text links you must think long term (a year minimum) as otherwise you are wasting your time and money. Knowing this it makes purchasing text links less desirable when it cost $30 to $50 (actual text link prices in 2014 taken from the inventory pages of a popular text link broker) for just one reasonable quality PR5 text link ad and ridiculous fees for quality PR7+ links! In 2018 we don’t even have PageRank as a guide to the value of a link! How can a business pay thousands of dollars a year on backlinks that won’t work well for at least 9 months and may never work (there’s never a guarantee with SEO)??? The answer is they shouldn’t pay excessive prices for text links from text link ads businesses for the reasons stated above. You might be better off buying link bait, I don’t think selling link bait is a big SEO niche (guess in the future it could be), pay an SEO company to create content that will go viral and generate natural backlinks rather than risk buying backlinks. I have recently written a web site. 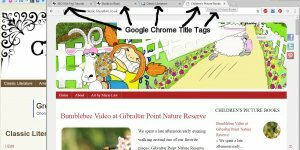 I currently have zero backlinks and would like your opinion on submitting my url to free directories. I guess the punch behind these links is very weak but if i could register on say 500 directories whos home page has PR5 – would that be worth my while or a complete waste of time?